My Life Through A Lens - CounterCultural. CounterCouture. I’ve been using Instagram for just under a year now. Having started back in winter 2013 with my gorgeous Christmas Rose photo- I have a real thing for cacti- I’ve been enjoying capturing my life to share it with everyone. And now I have a decent phone- the Galaxy S4 mini is great- I can now capture even more fun and frolics on (digital) film. My haul after Bristol SS14 fashion week back in March. You can read about it here and what I brought here. My Christmas rose cacti. Highly resilient plants, I adore them. When they begin to bud it means winter is here. My men’s hi tops from the British Red Cross shop. I love it in there and they’ve recently expanded to do furniture and electrics too. My outfit for New Year’s Eve was on the chilly side but I felt glam none the less. Getting my hair cut just before Keswick by Amy at Eclipse. I raised almost £500 for Lindsey Lodge Hospice and sent over 12inches to the Little Princess Trust for wigs. It’s not to late to donate here. Annabel and Catherine over for lunch before heading to Stonehenge. Spent the afternoon exploring the landscape. Check my other blog here for information on the Stonehenge landscape. My gorgeous DM Mary-Janes. I brought this for work but come autumn they’ll be a great alternative to summer pumps. Just need a bit of a polish now. Selfie with my girls while chilling at Catherine’s. It’s a rare treat to be all together but always fun. Burgers on the barbecue. We had so many this summer. I’m sorry to all my vegetarian readers but I love a good juicy beef burger! The family’s Christmas stockings. I love opening our ‘Santa’ presents before breakfast on Christmas Day. I still need to use my icing modelling book from last year. Check out my family Christmas here. What do you call a blanket selfie? Steff and I chilling, almost literally, in our blankets enjoying a winter evening. My signature doodle of a heart flaming inside. It represents the power of the Holy Spirit inside each Christian. The DIY kebab spread for my birthday barbecue. Had so much fun and ate so much food… but it was my birthday after all. 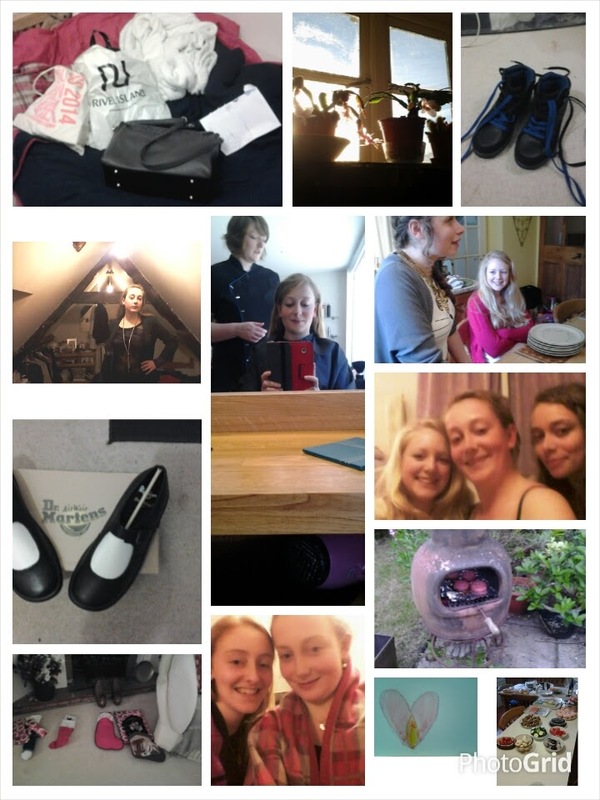 So that’s a brief snapshot of my life since winter 2013. I can’t wait to see what the next year brings.